Take one pan heat butter. 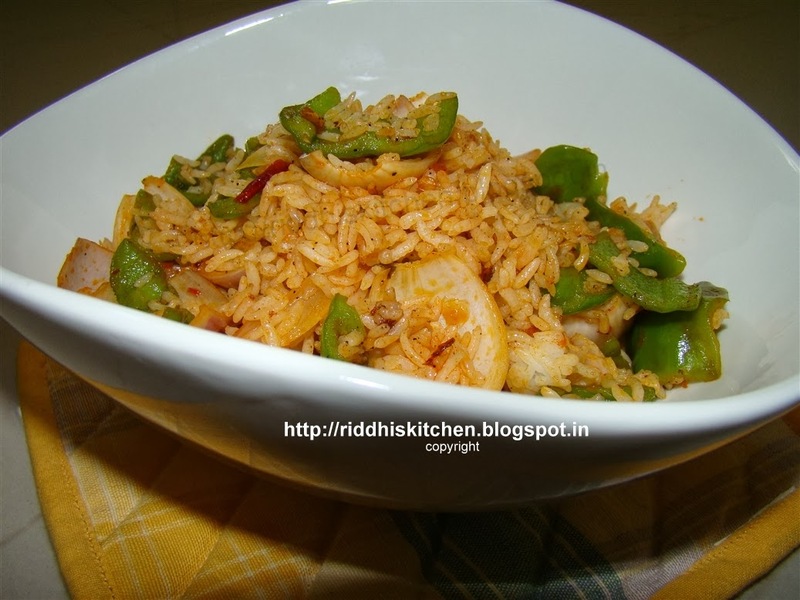 Add onions, capsicum, salt and pepper powder and saute for 1 minute on high flame. add schezwan sauce and boiled rice, mix well .